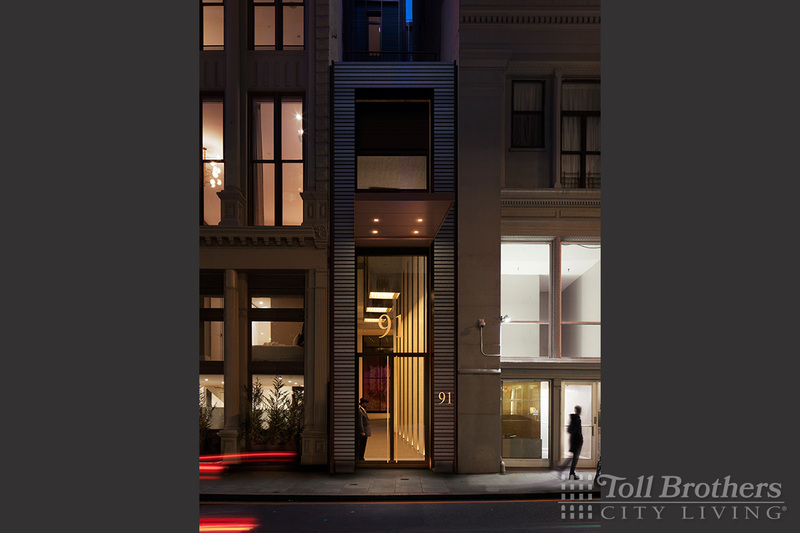 OPEN HOUSE LOCATION: Sales Gallery at 75 Leonard Street. 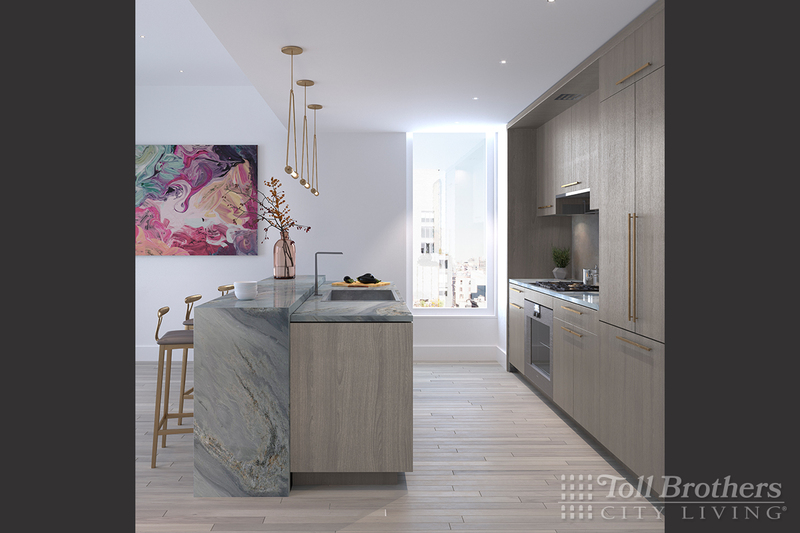 Combining inspiration from Tribeca's rich architectural heritage with a confidently modern point of view, 91 Leonard offers the best of all worlds - brand-new construction in a legendary landmark neighborhood. 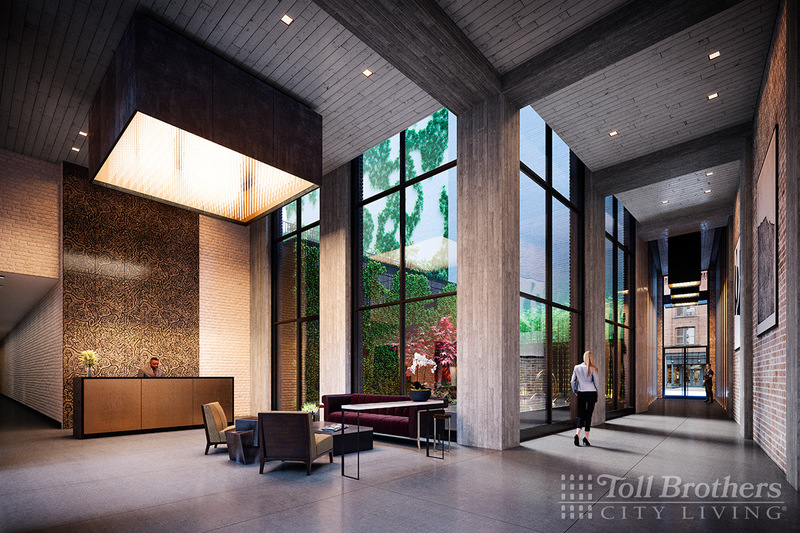 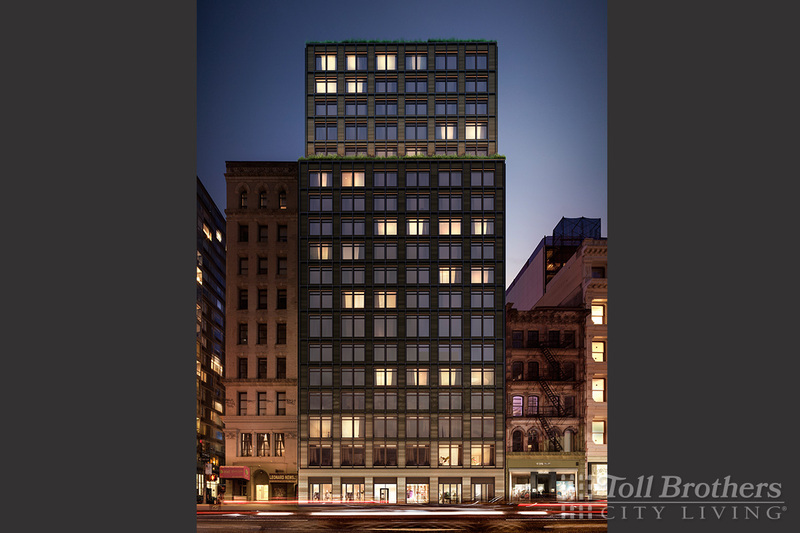 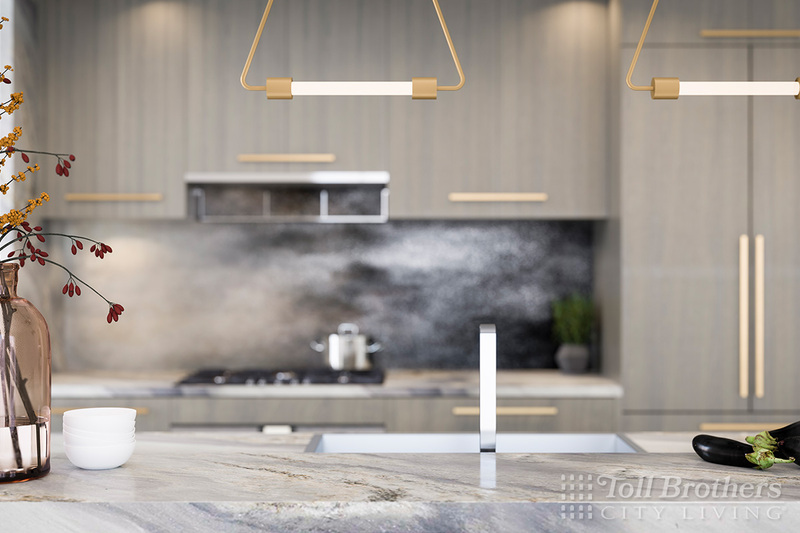 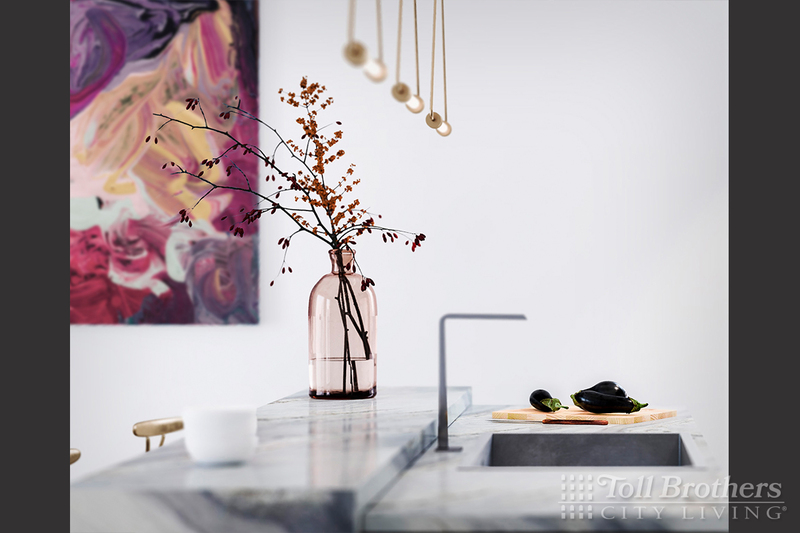 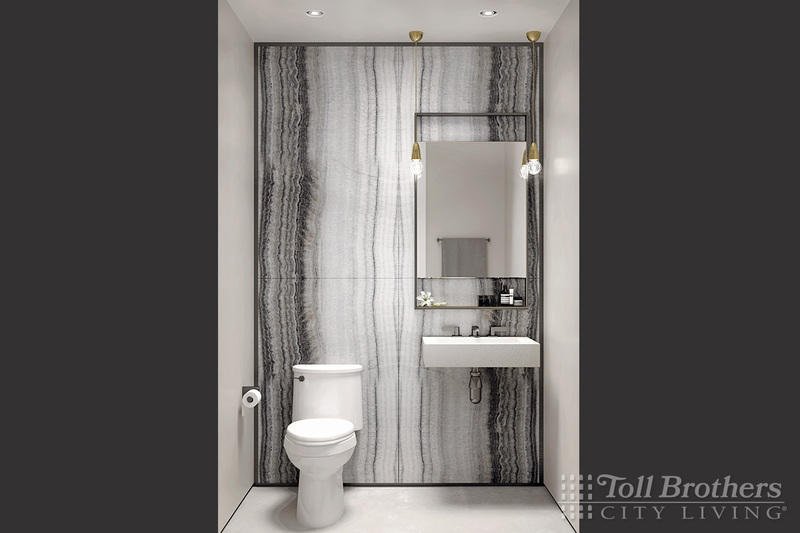 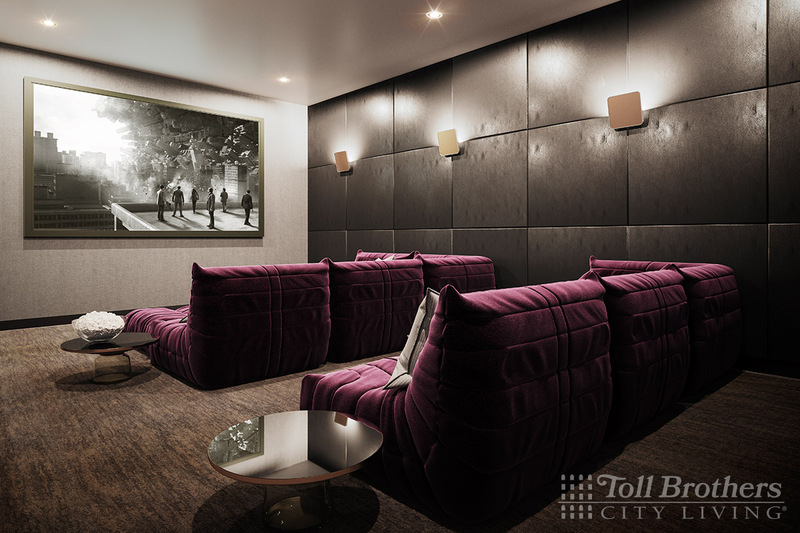 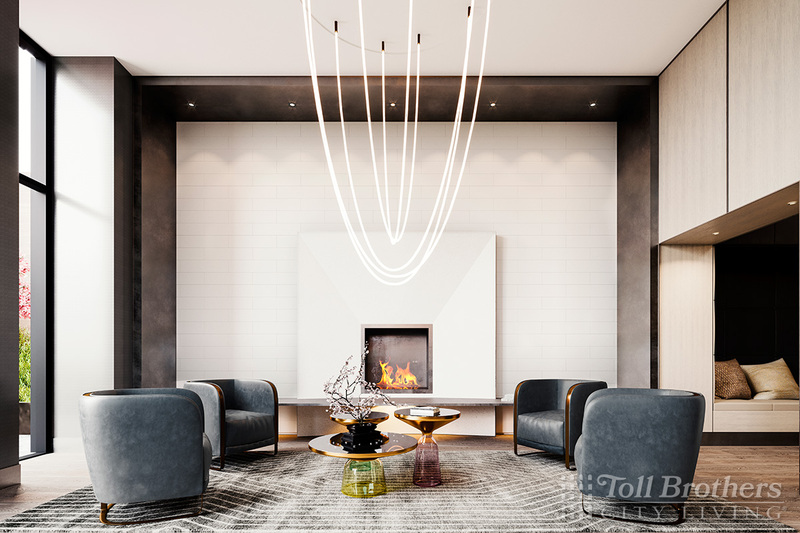 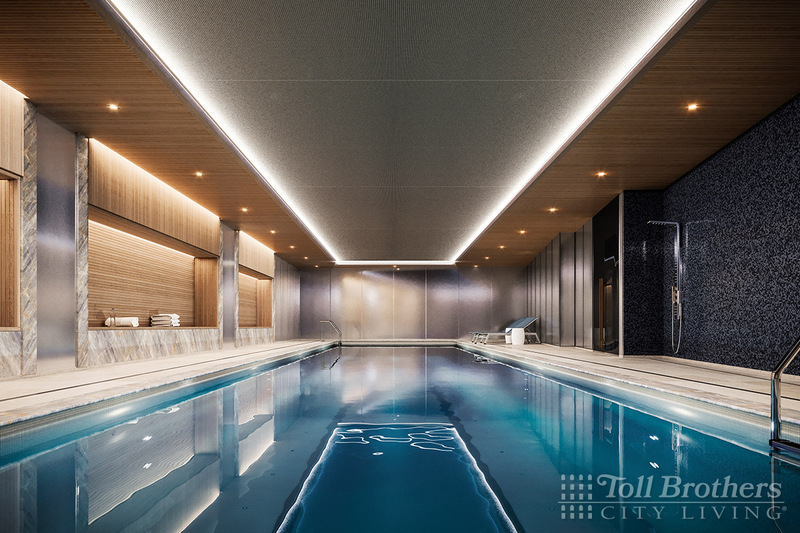 Developed by Toll Brothers City Living and designed by renowned architects Skidmore Owings & Merrill, and Hill West, the distinguished 19-story building, with 111 condominium residences, conveys a feeling of refined luxury infused with an industrial spirit. 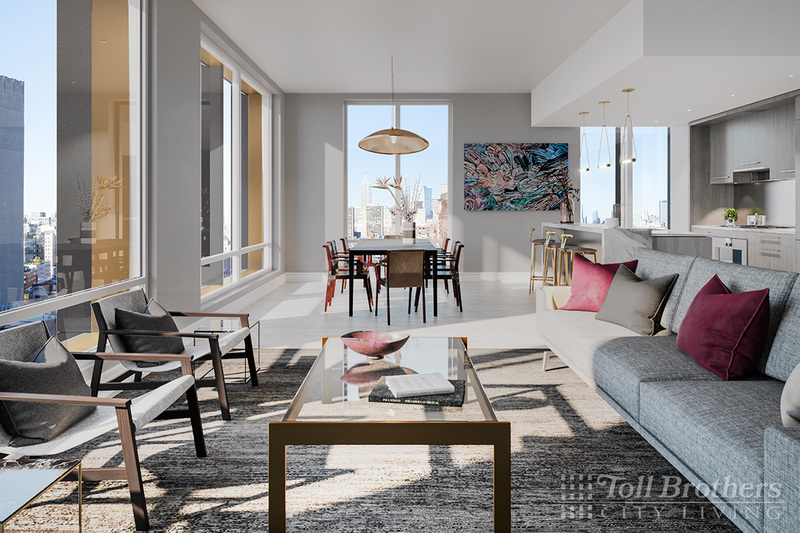 The residences are a nod to an iconic Tribeca loft style, with slender whitewashed oak floor planks and generous room heights with nearly floor-to-ceiling windows that bring in abundant natural light. 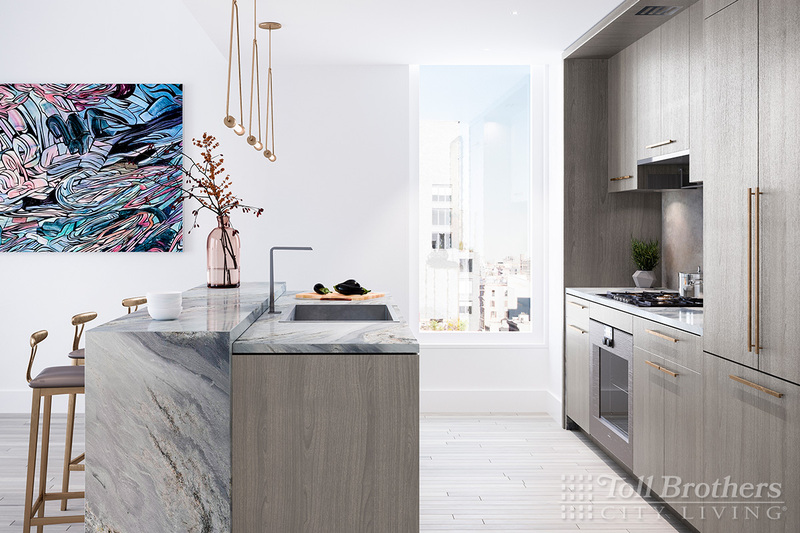 The kitchens boast a handsome palette of oak cabinetry by Poliform, blackened steel backsplashes, Tundra Gray countertops, and a suite of Gaggenau appliances. 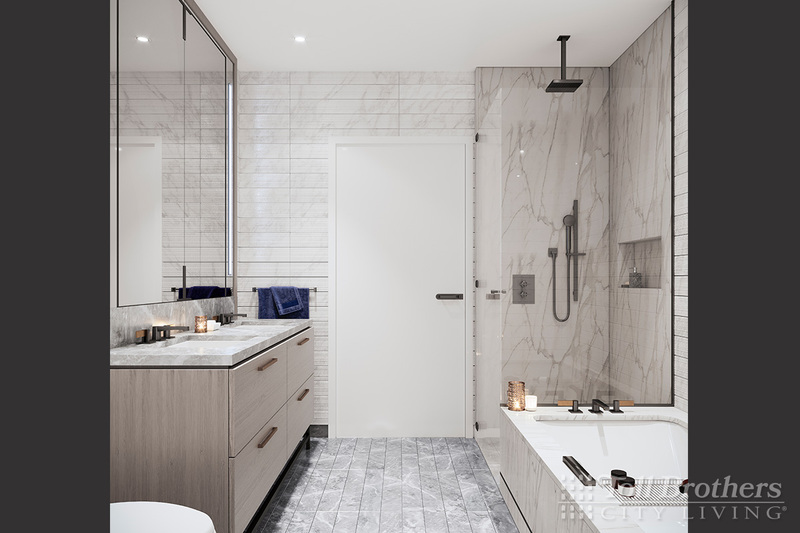 The stunning spa-like master bathrooms feature Bardiglio marble floors, Poliform oak vanities and medicine cabinets with brass and pewter accents, and custom Watermark plumbing fixtures and accessories. 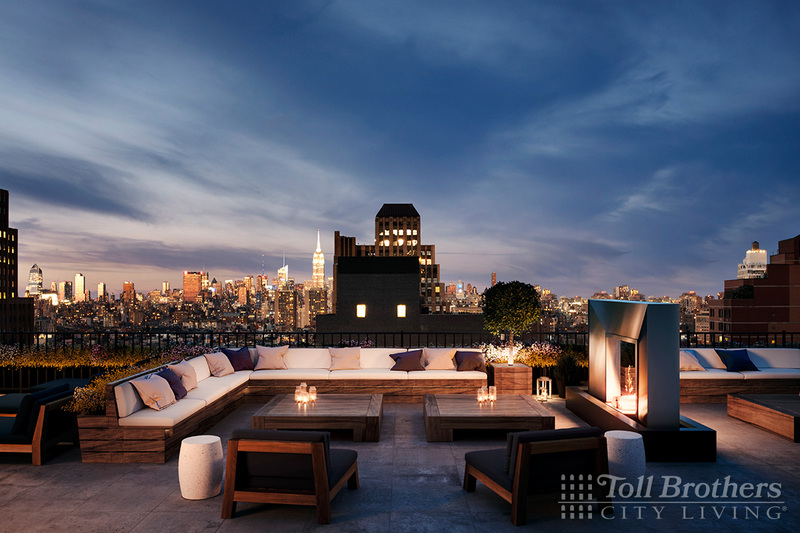 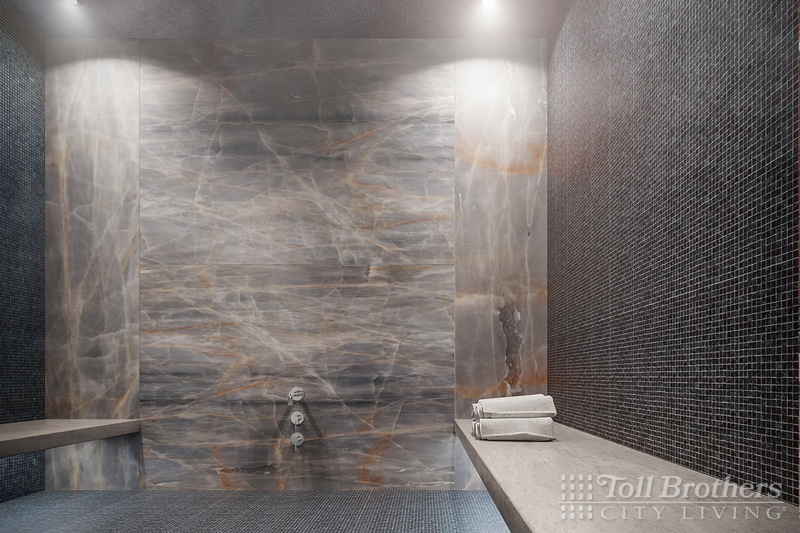 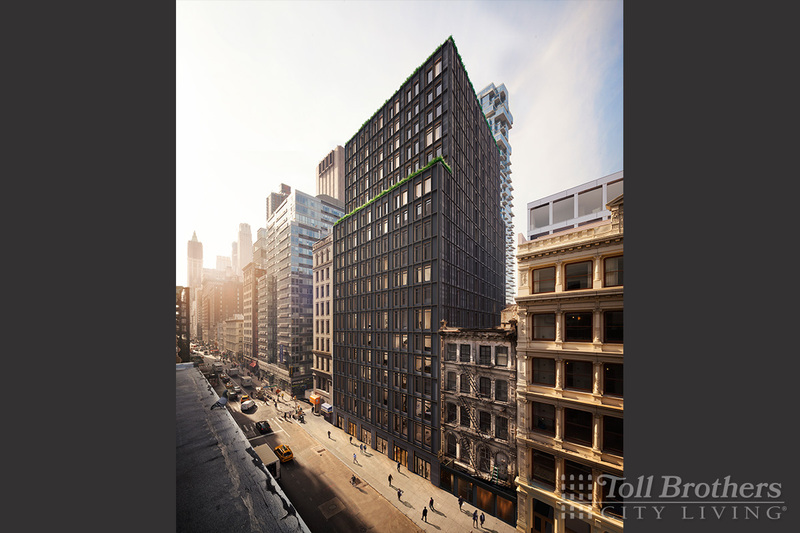 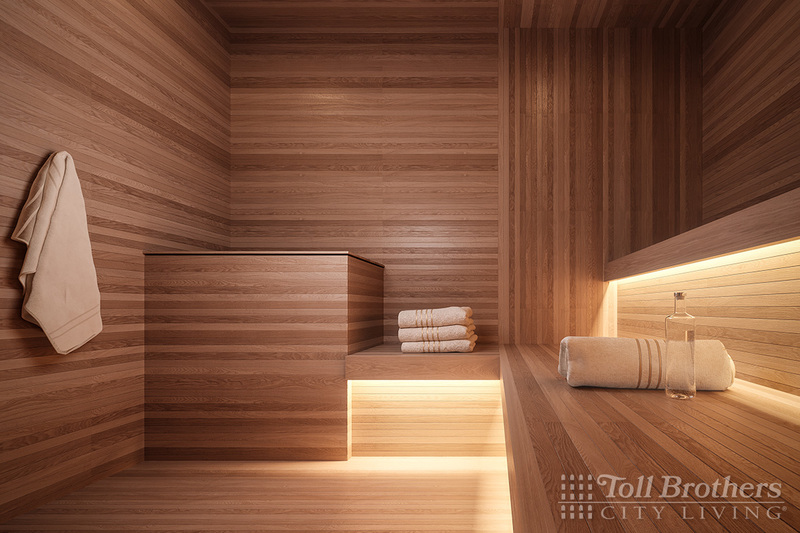 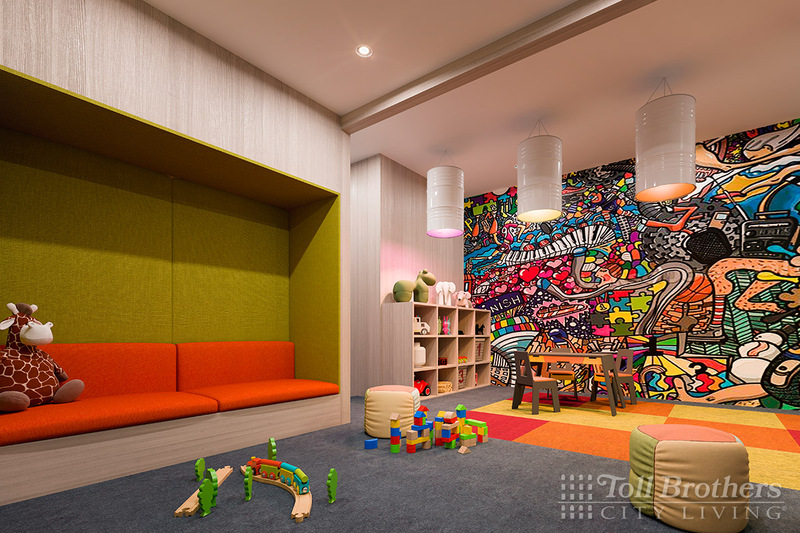 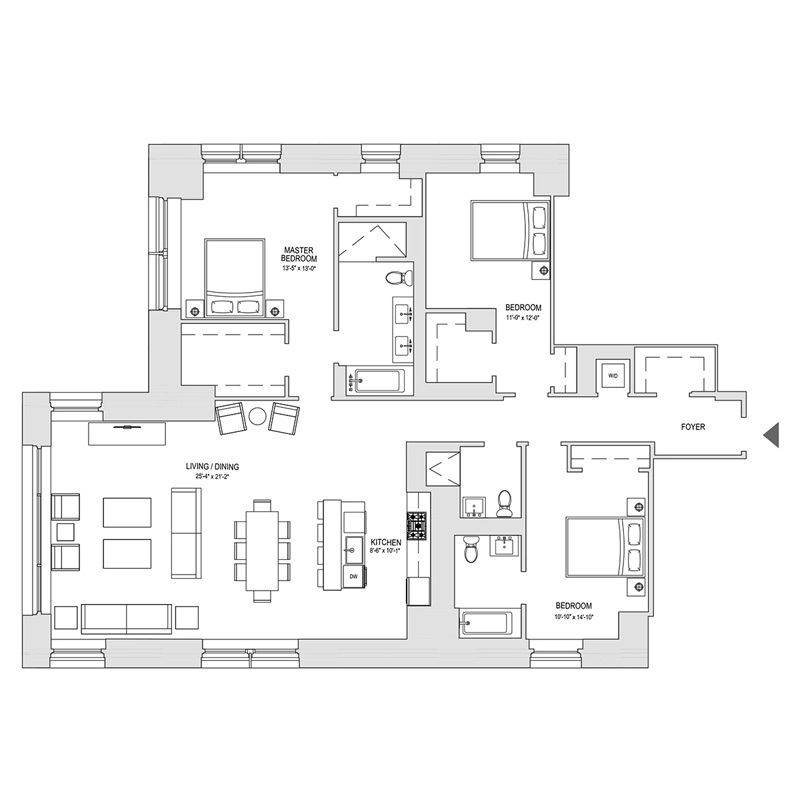 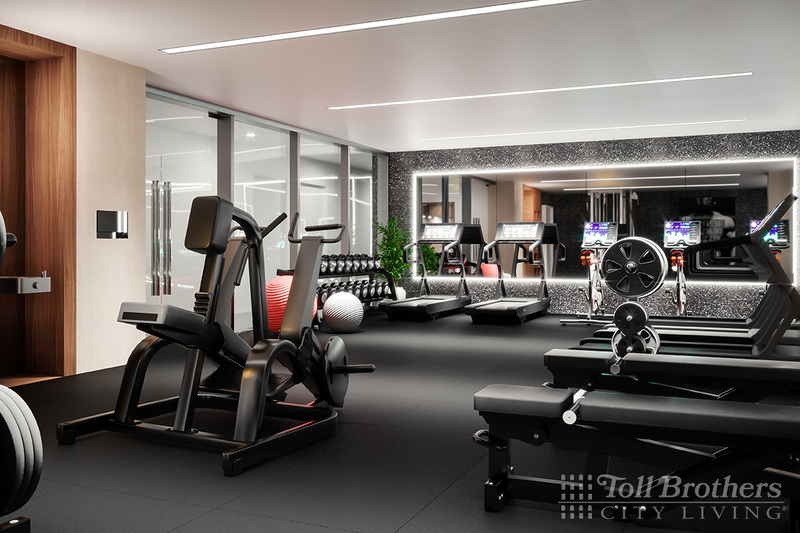 Residents will enjoy an expansive range of amenities, including a 24/7 attended lobby, residents' lounge with secluded area and courtyard, pool, sauna, steam room, fitness center, children's playroom, screening room, and rooftop terrace, elevates full-service living to new heights in Tribeca. 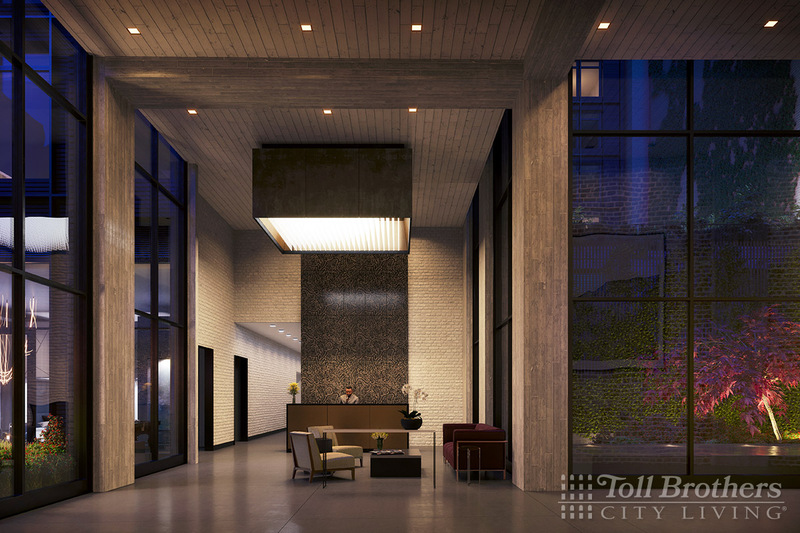 The sales office is located at 75 Leonard Street. 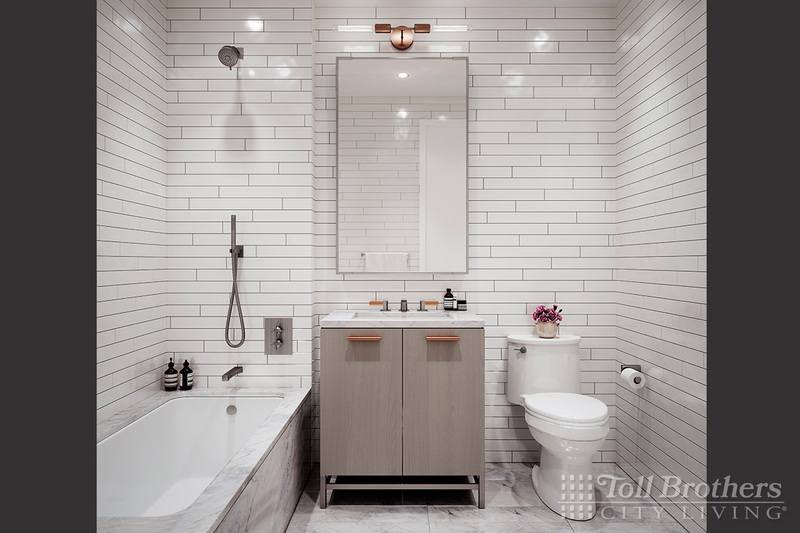 Projected occupancy is Spring 2019.